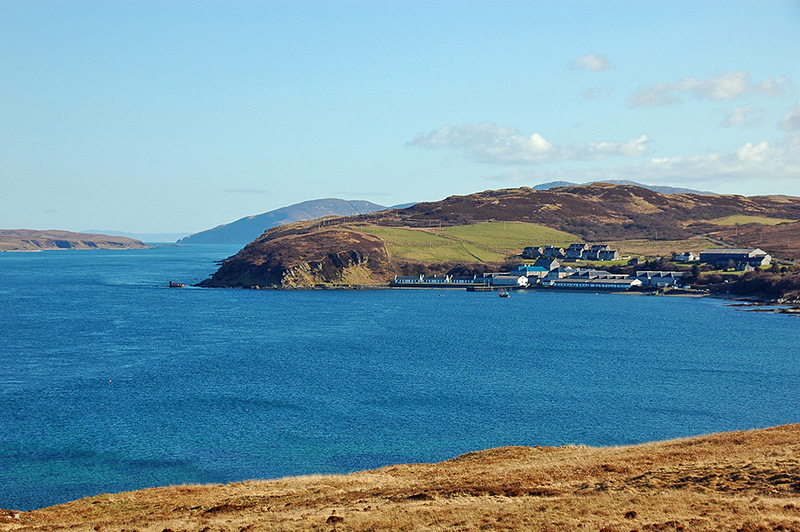 A view of Bunnahabhain with the distillery and the Sound of Islay stretching out into the distance. The wreck of the Wyre Majestic also visible on the left. Taken in April 2008 when returning from a walk in the north of Islay. This entry was posted in Distilleries, Landscape, New Post, Sunny Weather, Village and tagged Bunnahabhain, Islay, Sound of Islay, wreck, Wyre Majestic by Armin Grewe. Bookmark the permalink.